Cedar Island is a luxury residential neighborhood off Greenville Loop Road in Wilmington. For luxury buyers looking for a unique home location, Cedar Island is one of the top communities on the list. This enclave community is a small island with just 15 homes which means there are views galore! It also sits within a water basin which has created a nice protected area for the waterfront homes with docks on the inner side of the island. 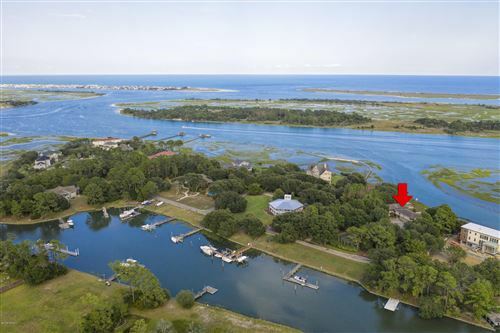 Homes on the outer stretch have docks reaching far into the Intracoastal Waterway, which is great for large vessels. All the lots are well over 1 acre, so it’s not uncommon for a home to have a swimming pool, tennis court, or additional outdoor living space. Each home has its own unique style and floor plan, but all the homes have one thing in common – multiple decks and levels for enjoying the views. But to forewarn you, homes in this unique neighborhood don’t come on the market very often, so you must act quickly when they do. Browse the listings below to see pictures, property details, amenities, school information, and more. Please don't hesitate to contact us if you're interested in viewing a home or have questions about buying. Melanie Cameron is a Coldwell Banker Global Luxury℠ Specialist and can help you with this luxury home community or any other in the Greater Wilmington real estate market.